The UK Government’s recognition of the Cornish as a national minority alongside of the Welsh and the Scots marks us out as quite different from the English Counties. Cornwall is part of a community of Celtic nations along the Atlantic seaboard of Europe which includes Scotland, Ireland, Wales, the Isle of Man, and Brittany. The Celtic Nations collaborate in many ways to share and promote interest in their language and culture and two major events are comin up in April. The Pan Celtic Festival in Donegal and the Celtic Congress in Newquay Cornwall. The Pan Celtic Festival in Ireland is hosted by a different town each year and in April 2019 it will be hosted by Letterkenny in Donegal. The festival is an exciting combination of concerts, workshops and competitions involving dance as well as music. It features the Celtic Song Contest with entries from the six Celtic Nations. Cornwall was represented from the outset by the celebrated Cornish singer, Brenda Wootton, and has entered performers every year since, often coming away as winners. The festival is a wonderful opportunity to take Cornish music to a wider audience and bring back inspiration from fellow Celtic cultures. The Cornish heats for this year’s Pan Celtic competitions, “Kan rag Kernow” (A Song for Cornwall), took place in February and were won by Black Eyed Nancy with their song “Anella” (Breath). 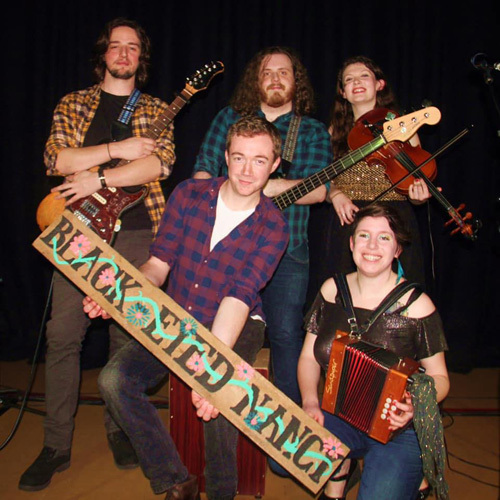 They are an energetic five-piece band who blend folk rock with traditional Cornish music and original material. Cornwall will clearly be well represented in Letterkenny this year. Keslowenna – congratulations to Black Eyed Nancy on winning the Cornish Heats and Chons Da – Good luck in Ireland! An Daras, doorway in Cornish, is an outreach project of Lowender Peran, Cornwall’s Celtic festival, and provides a portal to the distinctive traditions of Cornwall . The links on the site map will take you to the tunes, songs, dances and associated traditions of Cornwall. There are also links to teaching materials and further research work and publications on Cornish Folk Tradition. Books, and teaching / information packs with CDs and DVDs are available from our on line shop.